Progress in tackling some of the world’s most pressing conservation challenges has been highlighted at a major research conference in South Africa. 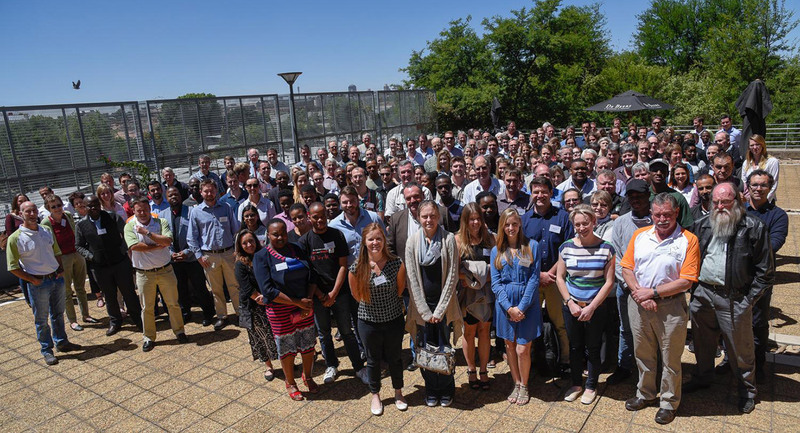 More than 200 conservationists, scientists, academics, students, nature lovers and activists heard about the latest developments in a series of research presentations at the 8th Oppenheimer De Beers Group Research Conference. A kaleidoscope of papers from about 40 speakers shone light on such topics as water quality, climate change, wind farms, pangolins, vultures, leopards, tree skinks, porcupine and ticks. For a summary of topics covered, see (https://t.co/H3SBVgOHQo). Find out more about the Diamond Route (http://www.diamondroute.com). The conference is unique in the research world because it covers such a wide diversity of subjects, featuring well-established researchers and young researchers starting out on their careers. Mpumi Zikalala, Senior Vice-Present of De Beers Sightholder Sales, South Africa, who opened the conference staged at De Beers Group’s South African headquarters in Johannesburg, emphasised the importance of conservation to the company. The event featured two highly acclaimed keynote speakers, Professor Emeritus Jane Carruthers, an internationally renowned environmental historian, and Professor Norman Owen-Smith of the University of Witwatersrand, one of South Africa’s leading mammologists, with more than 50 years’ experience of monitoring large mammals. Professor Carruthers gave a summary of how research over the last century had shaped knowledge of the research and conservation arena. Professor Owen-Smith presented case studies on the extended monitoring of different species. Riaan Rifkin of the Department of Genetics, Center for Microbial Ecology and Genomics at the University of Pretoria, picked up the award for the best conference presentation for his paper on ancient human and pathogen DNA found in South African archaeological sediments. The award for best poster went to Sean Heighton, from the Mammal Research Institute, Department of Zoology and Entomology, University of Pretoria, for his illustration on using geographic traceability as a conservation tool against the trade in pangolins. He said the conference offered delegates the opportunity to step outside their small worlds of expertise and listen to others doing totally different things, allowing them to catch a spark and open up their own worlds. The two-day conference (17-18 October) turned a spotlight on the results of research projects undertaken on the properties owned by De Beers Group and E Oppenheimer & Son in South Africa, Zimbabwe, Namibia, Botswana, Canada and the United Kingdom. The properties cover some 250,000 hectares across southern Africa. Dr Duncan MacFadyen, Manager of Research and Conservation at E Oppenheimer & Son, said the conference highlighted the importance of partnerships. “The longstanding partnership between the Oppenheimer family and the De Beers Group provides an excellent opportunity to showcase the many research and conservation success stories achieved by both parties,” he said.